8 oz. 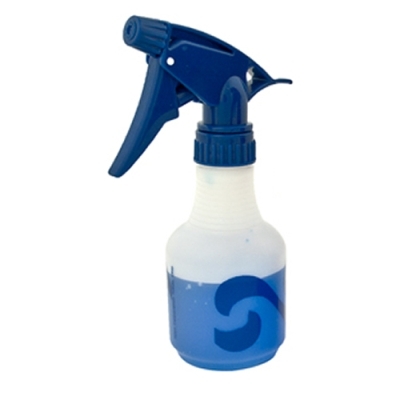 Blue HDPE Wave Spray Bottle | U.S. 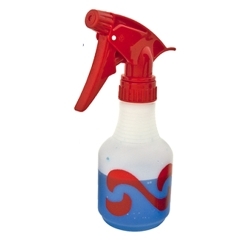 Plastic Corp.
High density polyethylene bottle and polypropylene sprayer with nitrile O-rings and seating cup. Popular 8 oz. size. Assorted color waves graphics and matching trigger. 28/400 neck size. Output is 1.0ml per stroke. 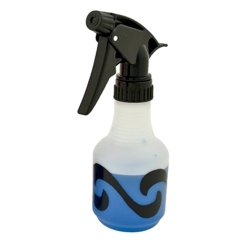 Adjustable nozzle: mist to jet stream.